For fixed location Time & Attendance the Datix NaNo WE and Datix NaNo G WE are simple, easy to configure and cost-effective RFID wall terminals. You have 2 options, off-line and on-line. With on-line you need a SIM card then you are ready to send data in Realtime via GSM/GPRS transmission to the main office. 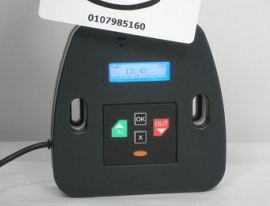 All you need is for the worker to use an ISO card to scan “in” and “out” so that shift times can be recorded. The unit is also programmable by the user with up to 30 tasks which makes it very flexible in terms of a multi-functional device. 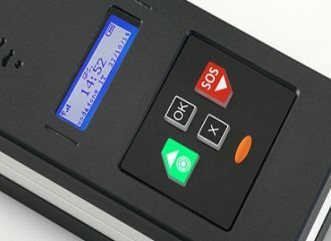 We not only provide fixed Time and Attendance solutions but also Portable hand held devices in both off-line and on-line with the Wi-Trak Pro 2G/3G being the most rugged with the full option of Voice, SMS, GPRS as a means of “Alert”. 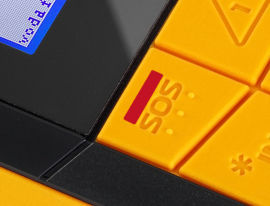 Equipped with SOS button for immediate attention.